As of October the 29th. Cobra spoofer has been removed again [the same as COBRA 4.30], since this is no longer supporting PSN accesibility since 4.60 OFW update. Dual VSH supports for REBUG REX / D-REX CFW, proper hash check code was developed by habib and Nzv recently. NPDRM Fself fix for REBUG REX/D-REX, this removed Kakaroto’s sig check patch pre-applied in REBUG’s debug VSH. Ps2netemu work around is discovered, now PS2 ISO can be redirected as ps2classic, this was developed to fix ps2 wireless pad sync issue for non backward compatible PS3 models. 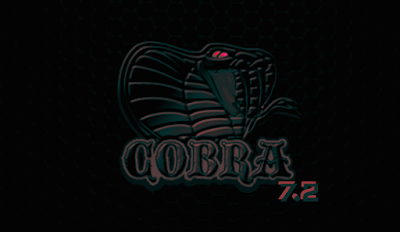 Added in COBRA v7.2: Allow Syscall 11 to gain full access to syscall 6/7/9/10 to prevent modification from homebrews like multiMAN. 80010017 / 8001002B Error fix is added since 4.60, this was developed to prevent issues with games when game disc is inserted in BD Drive. PS3MAPI 1.2.2 support, it is similar feature comparing to CCAPI, but open sourced project and also can unload vsh plugins , attatch process on all type of EBOOT. One of those great debugging features. Instructions: HOW to update your existing COBRA payload. webftp_server.sprx is a test version of aldo's latest build of webMAN MOD that allows re-enabling syscall 6/7/9/10 that's disabled by PS3MAPI. Stage2.cex.debug is debug version of stage2 binary. Unless a user wants to debug with socat, not necessary to use this.